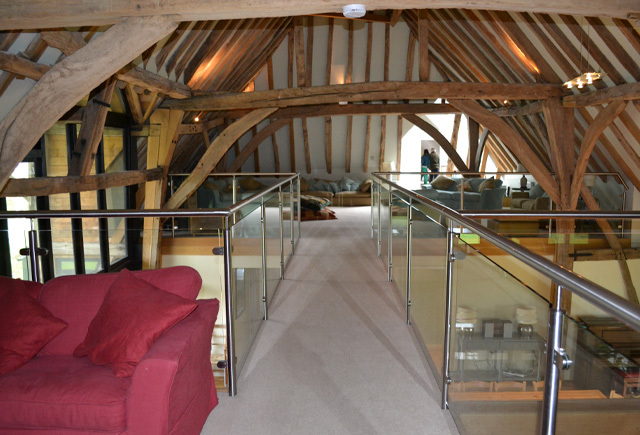 The first impression of the Barn at Great Higham is one of luxury and comfort. 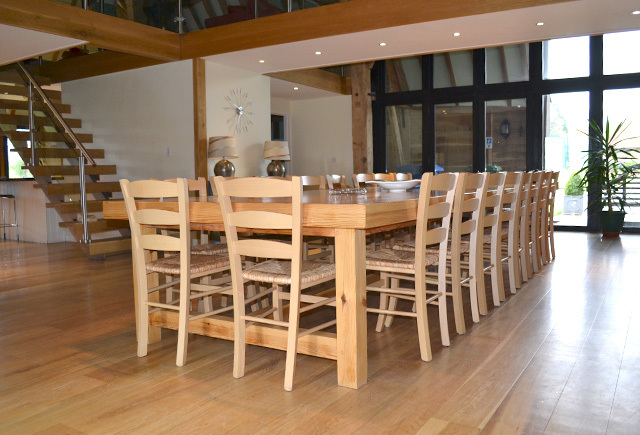 From the double height atrium boasting floor to ceiling windows (to make the most of the beautiful view), to seating for up to 18 guests who can spill out onto the lawn through the French doors, the Barn allows groups of family or friends to relax, unwind and enjoy spending time together. With thoughtful touches including a fully fitted snug room, reading area, modern mezzanine area and all the latest technology that you may need on your break, including TV/DVD, Playstation, WiFi throughout the property and USB uplink for iPhones and iPods. 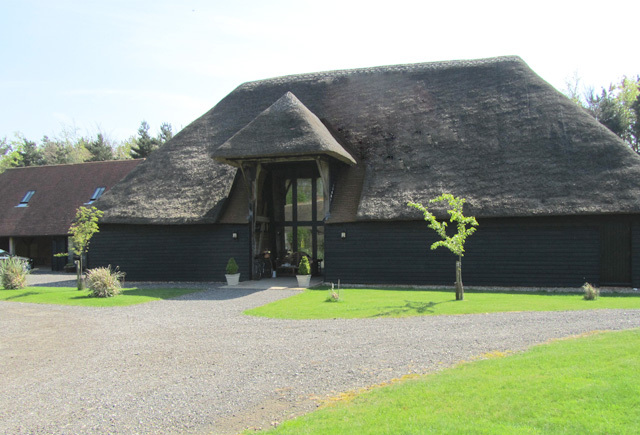 Venture outside into beautiful surroundings and you’ll be spoilt for choice, with the wood fired hot tub (seating 6), the shared tennis court or swimming pool to choose from, along with miles of paths and bridleways to explore. 1 x Master bedroom: Indulgent king size double bed with en-suite, fully fitted bathroom. 1 x Double room: Double bed with en-suite shower room. 3 x Double / Twin rooms, each room sleeps two: Our beds can either be made up into double size or kept as two single beds, based on your preference. 1 Family bathroom with bath, integral shower, WC and wash hand basin. 1 x Double room: Tucked away via a spiral staircase from the first floor or directly via own exterior door. Bed can be made up as a king size double or twin, based on your preference and also boasts an en-suite bathroom with shower and bath.